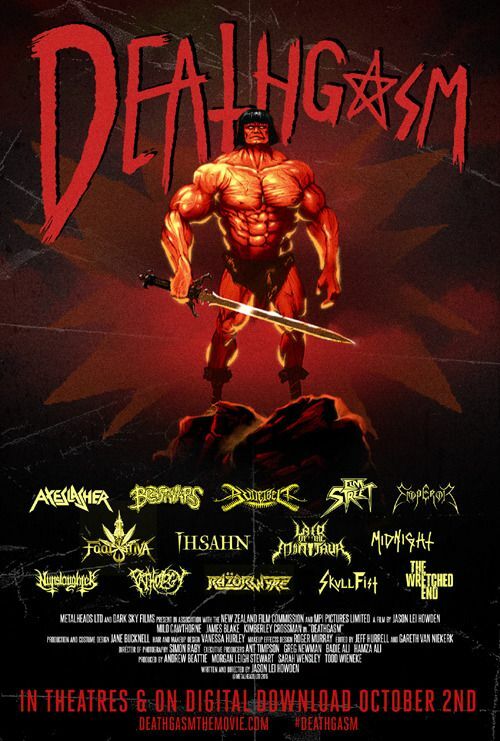 The new heavy metal splatter horror flick Deathgasm (Dark Sky Films) features the song “Let’s Kill These Motherfuckers” from the album Evil Power. Along with metal titans Nunslaughter, Midnight, Emperor, Skull Fist, Axeslasher, Ihsahn, Pathology and many more. In theaters and out on digital download October 2nd.